Ford has taken the international car market by storm after it showcased the 2013 Ford Fusion / Ford Mondeo sedan at the Detroit Motor Show. 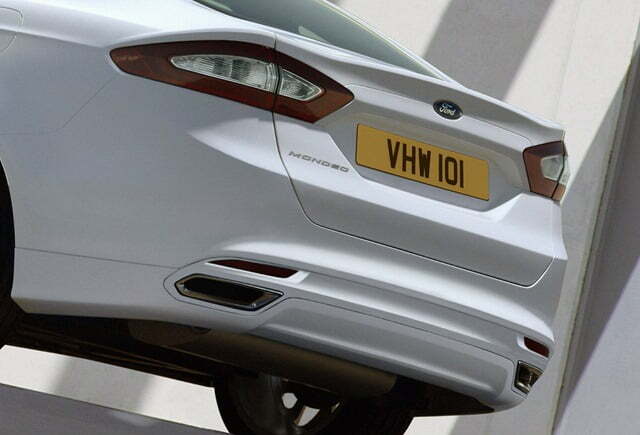 For years the Mondeo/Fusion has been given funny names just because of its strange and not so pleasing design but the latest generation Fusion lives up to its name and is a jaw dropper. 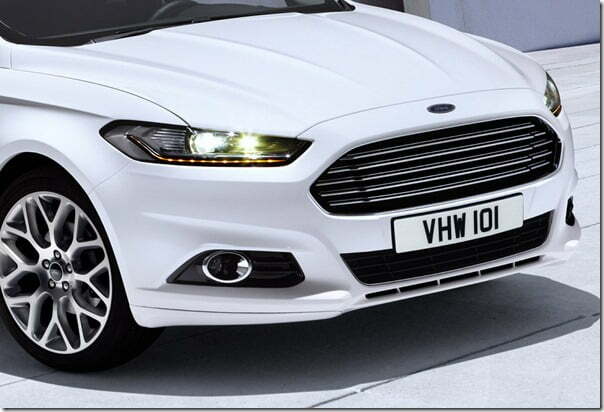 The car’s design has been influenced by various European styles and the end result is a beautiful yet aggressive looking Fusion/Mondeo. It is not only unique in terms of design but also brings along five different powertrains, improved telematics and materials to give an experience that has no match. 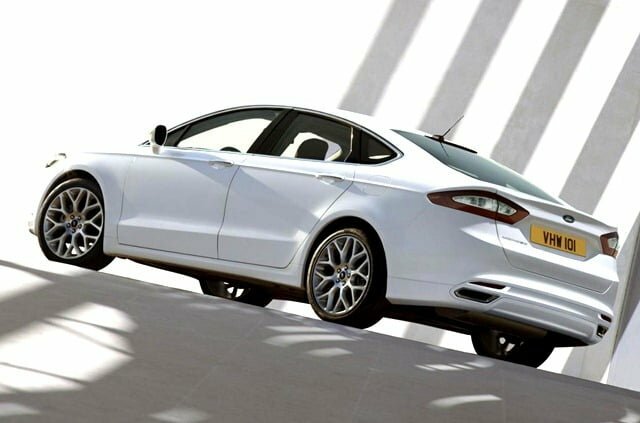 According to Christopher Hamilton, Fusion designer, the premium-ness of the car is reflected by jewel-like grille, squinting projector headlights, wrap around LED taillights, profile character lines and sweeping roofline. Talking about the design of the car, it looks fairly identical to Fusion from the rear and Audi A4 from the front with the grille resembling the that of Aston Martins. New features include Driver-assist technology, Active Park Assistance, Adaptive cruise control, blind-spot and lane monitoring systems, optically-enabled driver monitoring, a “coffee” icon lights on the instrument panel indicating driver fatigue, Hill-start assist etc. All these are available on both manual and automatic transmission models. Under the hood apart from the older 2.5 litre engine, Ford has added two new engines: 1.6 Litre and 2.0 litre Ecoboost. 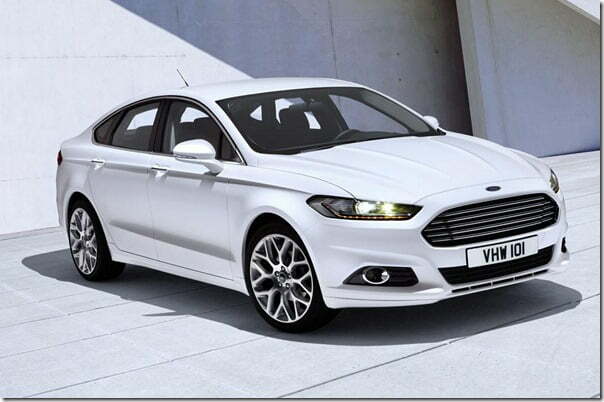 Along with the 2.0 Ecoboost the company is offering optional all-wheel-drive system and six speed automatic gearbox. The car also offers best in class fuel economy of 26 MPG in city and 37 MPG on highway that converts to 10 kmpl and 14 kmpl respectively.